This outdoor home security cam is wired and weather-resistant. 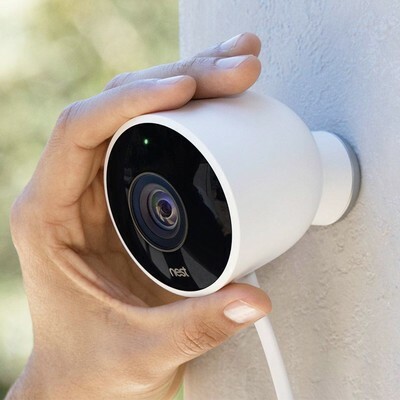 The Nest outdoor security camera is down to $149 on Amazon. Over the last few months, this camera has sold regularly around $175 and as high as $200 at times. It hasn’t gone as low as this deal since January and late November before that. This is a rare price and one of the best we’ve ever seen. This is a wired camera, so it will need access to an outdoor outlet, but that just means never worrying about the batteries. It’s weather-resistant and records in 1080p. It has motion and sound detection so it can respond to a window breaking or someone coming up to the door, take pictures of the event, and save them in your Nest app for up to three hours. It has a built-in speaker and mic so you can talk to visitors (or scare them off). This Nest camera will work with other Nest devices around your house, and it is also compatible with Amazon Alexa.